You can listen to lots of radio stations through Kodi with the TuneIn Radio addon. How to install Kodi TuneIn Radio addon? If you do not have the Fusion Installer -also known as Addon Installer- already set up on your HTPC, now is the time to install it. Head to our guide to install Addon Installer to learn how to do it. Once it's properly set up, head to Programs -> Program Add-ons and click on Addon Installer. 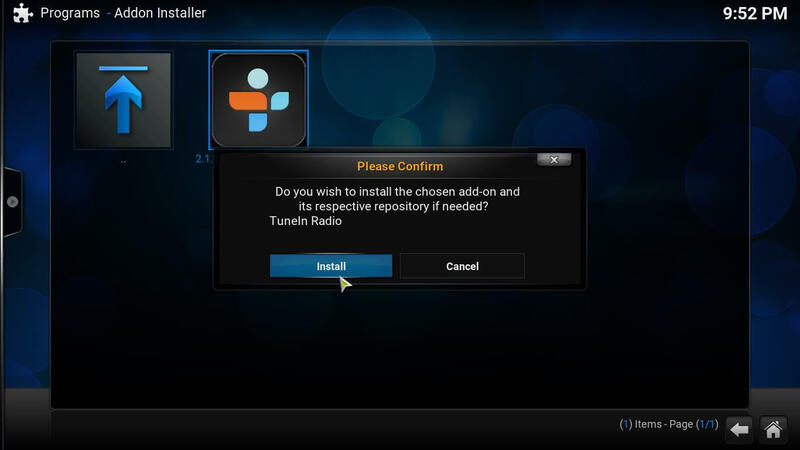 Use the Fusion Installer to get easy access to TuneIn Radio and hundreds of other useful and interesting addons. After you do this, click on Search by: Addon/Author, and type TuneIn on the dialog that appears. Click the Done button. 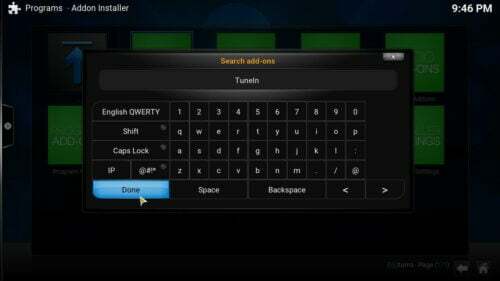 This will search for the Kodi TuneIn Radio addon among the hundreds of addons available from the fusion installer. The search feature on Addon Installer will allow you to find TuneIn Radio very quickly. Wait a little, and the search results will appear. 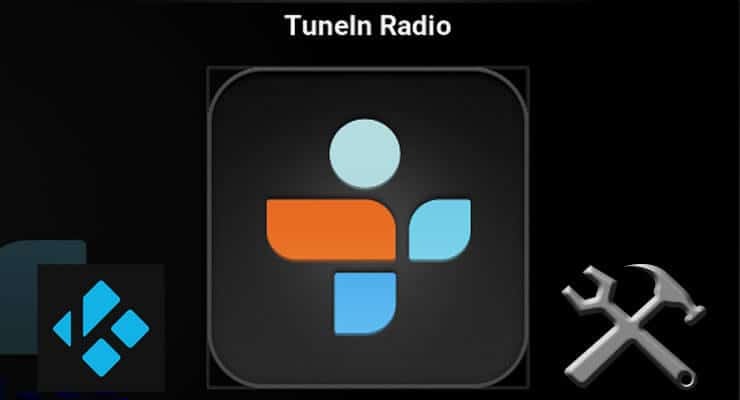 Click on TuneIn Radio, and then on Install TuneIn Radio. This will make a confirmation dialog appear, with two options: Install and Cancel. Click on Install to get the Kodi TuneIn Radio addon on your Kodi HTPC. Confirm the installation by clicking on the Install button. After a while, click OK on the notification that pops after that. After the installation is complete, you will see a notification dialog telling you that the installation was successful. Click the OK button. 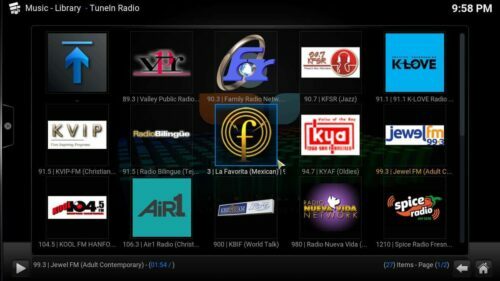 You are now ready to start listening to lots of radio stations, podcasts and even watching some Live TV channels through the Kodi TuneIn Radio addon. If you want more options to watch Live TV on Kodi, read our list of 10 best Kodi Live TV addons. You can also turn your HTPC on a retro gaming machine if you install Kodi ROM Collection Browser. The possibilities are endless, and your HTPC will provide you with hours of entertainment, whether you want to relax, play some games, or listen to Spanish Pop music while writing an article about Kodi TuneIn Radio addon (no, seriously, I have been listening to the radio with Kodi as I wrote this).